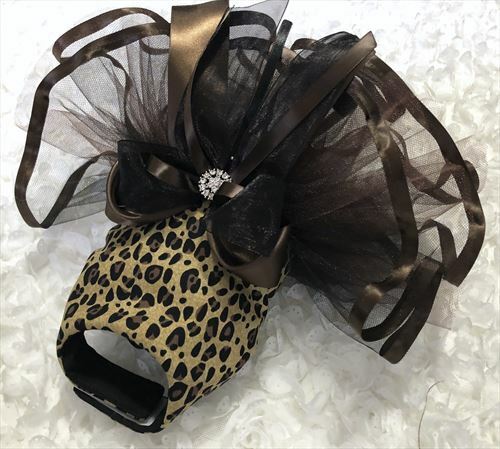 Sassy leopard print bodice with ribbon trimmed tulle and a signature multi-ribbon bow. So Cute! !